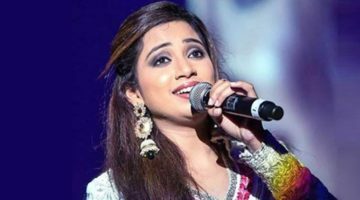 Apart from playback singing, Ghoshal has appeared as a judge on several television reality shows and she also appears in music videos. She performs in musical concerts around the world. She has been honored by United States state of Ohio, where Gov. Ted Strickland declared 26 June 2010 as “Shreya Ghoshal Day”. In April 2013, she was honoured in London by the selected members of House of Commons of the United Kingdom. She also featured five times in the Forbes list of the top 100 celebrities from India. In 2017, Ghoshal became the first Indian singer to have her wax figurine in Madame Tussauds Museum.